The facts are both compelling and disturbing. More than 90 percent of businesses in the country are family-owned or family-controlled, and out of the largest companies, approximately 35 percent are family-owned or controlled. Given our aging population, it would appear that succession planning would be a priority for these businesses. However, the vast majority of businesses don’t have a written succession plan, leaving succession, in large part, to chance. Succession planning is somewhat similar to estate planning on a business level. With respect to estate planning, if an individual unexpectedly passes away without an estate plan, the laws of intestacy take over. The opportunity for that individual, who worked so hard and for decades to provide, to plan, and in some cases, to direct decisions regarding the health, safety, and welfare of their loved ones, is lost. So too, in many cases, is the failure to plan for business succession. Although there may be certain mechanisms in place to continue the existing business, more often than not, the death or disability of the owner may lead to disorganization, chaos, and perhaps the end of the business. To avoid this, owners should to begin the process of creating and developing a business succession plan five to 10 years prior to their retirement. The first step is to assemble the succession planning team, which consists of a business adviser, a CPA, a family financial or wealth adviser, the attorney for the business, an insurance agent, and in many cases, an investment banker or valuation specialist. The owner must then decide the method of succession, whether by gift, transfer, or sale. This decision generally requires the establishment of a value for the business — both current and anticipated future value — at the time the owner is ready for retirement/succession. The decision of whether to sell the business to its employees or to a third party, or alternatively, to transfer the business to family members, is a particularly complicated decision. Does the owner have a particular person or a group of individuals capable of succeeding the owner? Are there existing internal rivalries in the business that may become problematic without the owner continuing to play a role? Is the next group of potential leaders capable of managing together? Is there one person who is capable of assuming responsibility for management of the business? Is the owner ready for (or wants) retirement immediately after the plan goes into effect or is a transition period going to be necessary? If so, for how long? Is the owner committed to keeping the business in the family or does the owner want to maximize the value of the business for sale or for estate planning reasons? Each of these questions will need to be thoughtfully examined as part of the planning process. The method by which business decisions are made also play a significant role in this process. And sometimes the creation of an alternate process than the norm may provide an opportunity to more objectively shape the succession planning process together with providing an improved structure for the process. In that regard, are the business decisions going to be made by one person, a number of different individuals, or is there a formal board in place? Do the decision makers have the requisite technical and managerial skills or will individuals with these skills be added to the team? Are professional advisers going to be used to assist in making decisions or are decisions going to be limited to family members or a select group? The answers to each of these questions will ultimately determine how complex the succession plan may be. But in the end, the process will be invaluable in providing the owner, and all of those impacted by the decision, with a game plan for the future direction of the business. A well-designed succession plan will almost certainly maximize the likelihood for the business to succeed to the next generation of leaders or alternatively establish a reasonable value and sales amount for the business. 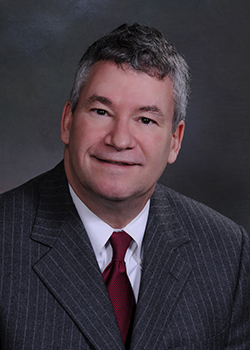 Stewart Weiner is an attorney with Southfield-based Maddin, Hauser, Roth & Heller, and a shareholder and member of the firm’s Complex and General Litigation Practice Group.